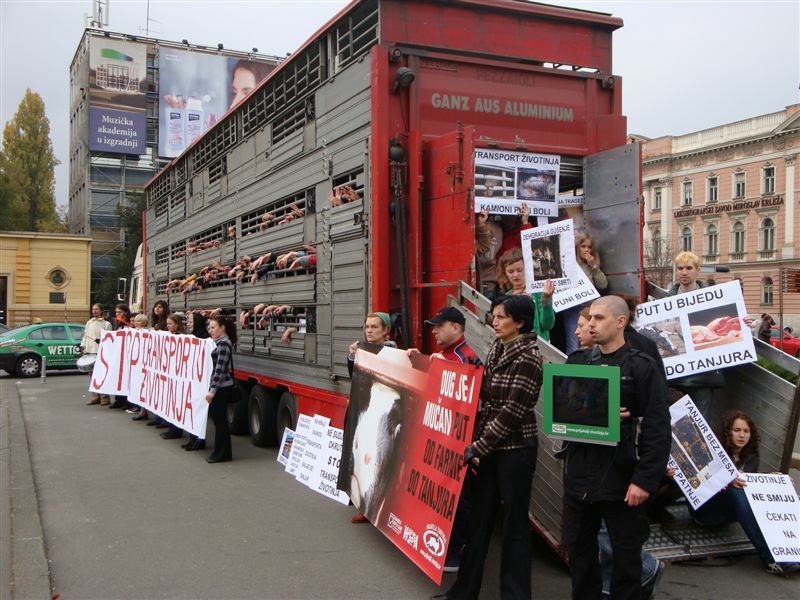 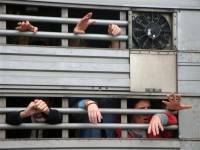 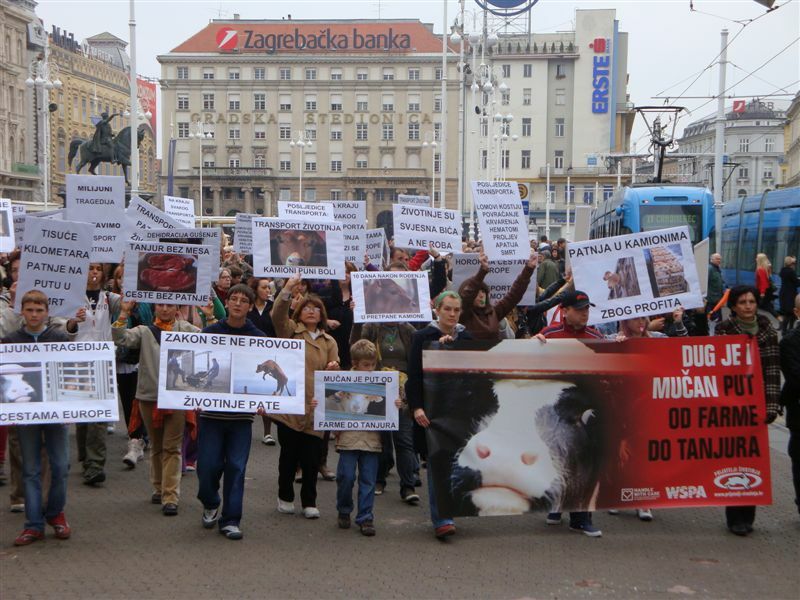 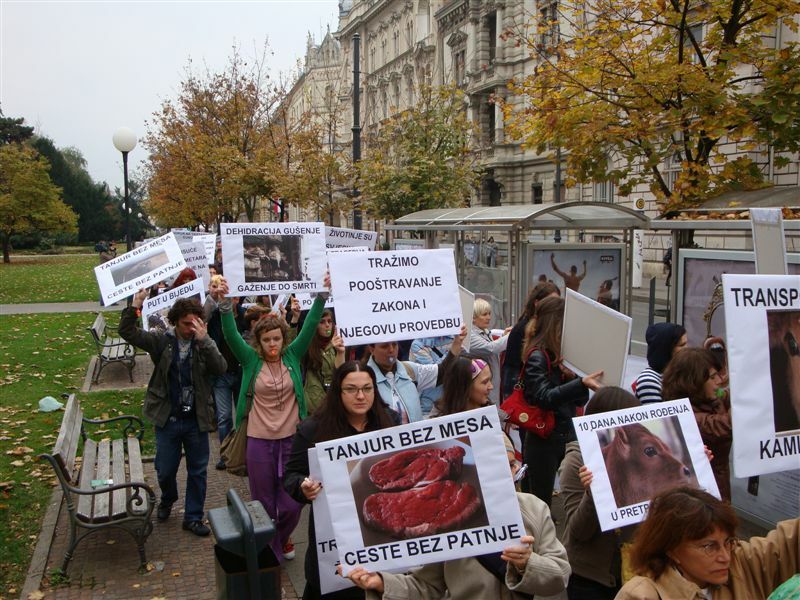 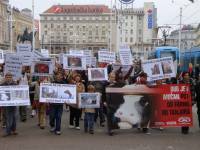 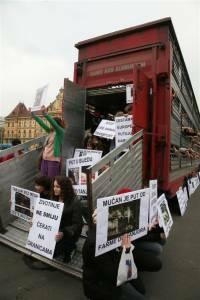 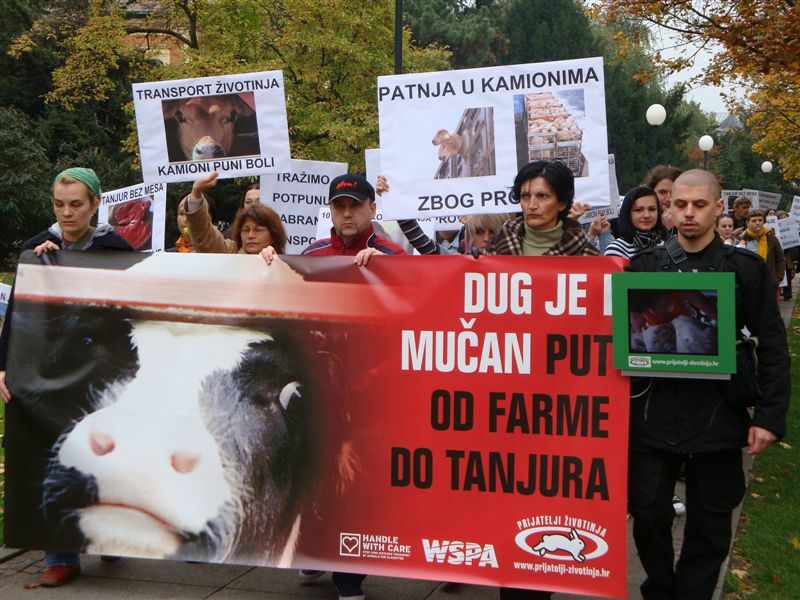 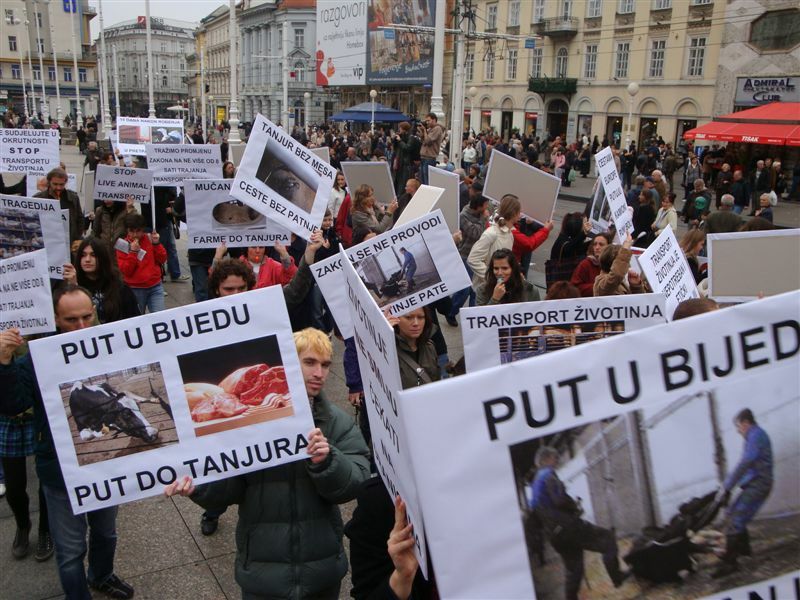 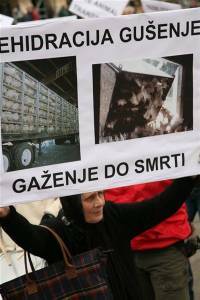 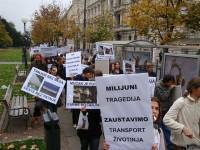 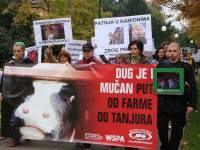 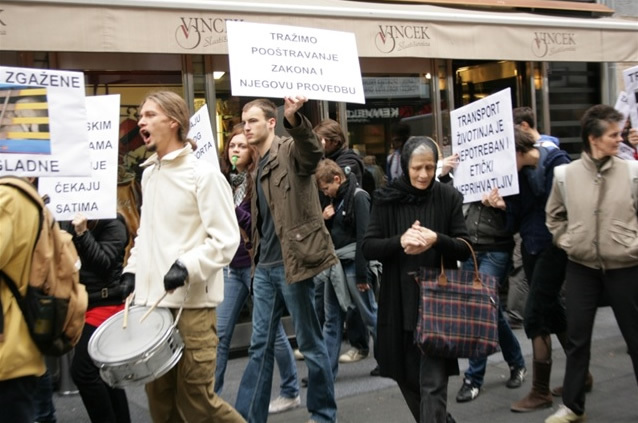 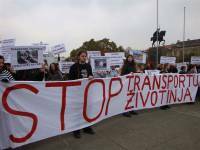 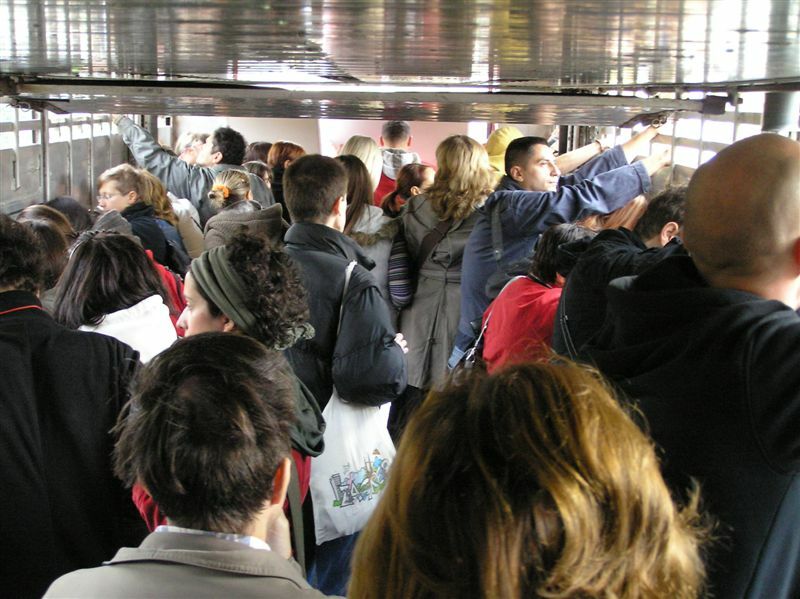 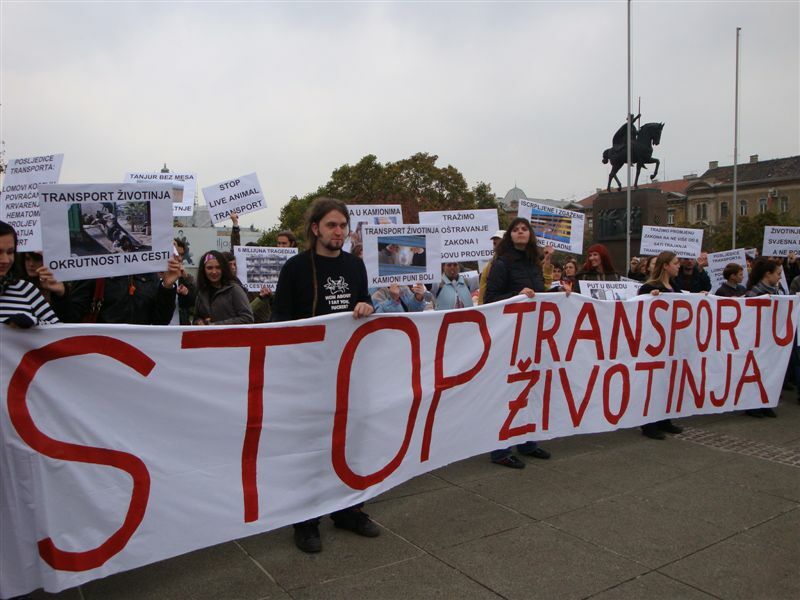 On the first protest against live animal transport in Croatia, October 25, 2008, gathered 120 people. The slogans that were shouted repeatedly at the protest were: "Animals are not a stock, it has got to stop," "Stop the transport," "The suffering is great on a journey from farm to plate," "We shout for animals, to abolish transport," "Animals are shattered, don't participate," "Six millions, they are conscious beings," and "Cruelty on the road, think about your diet." 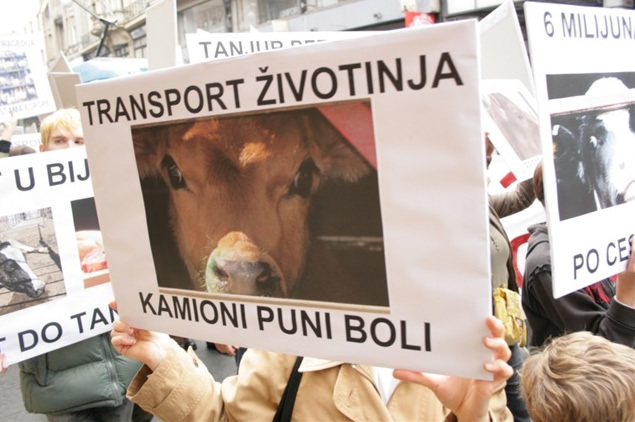 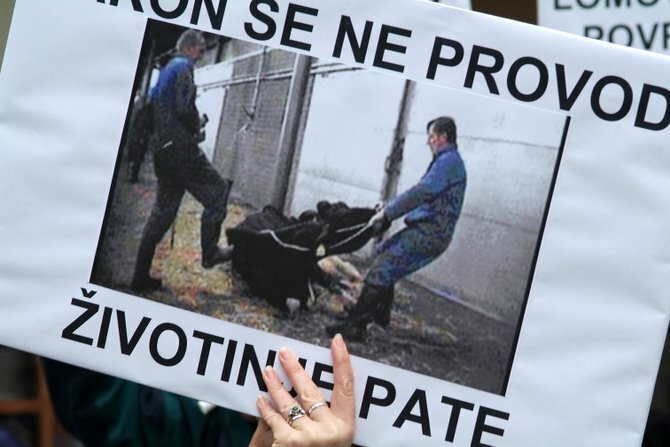 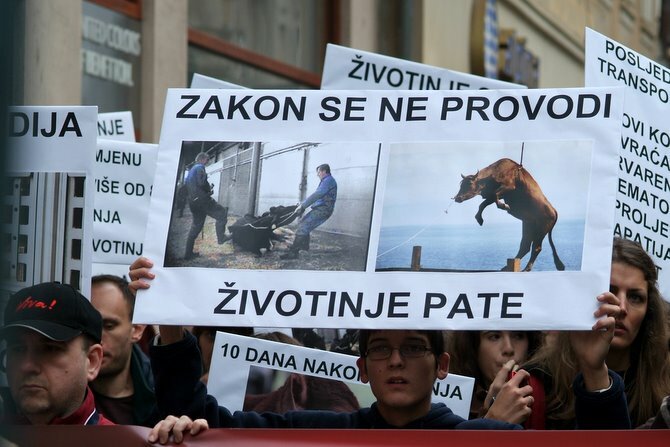 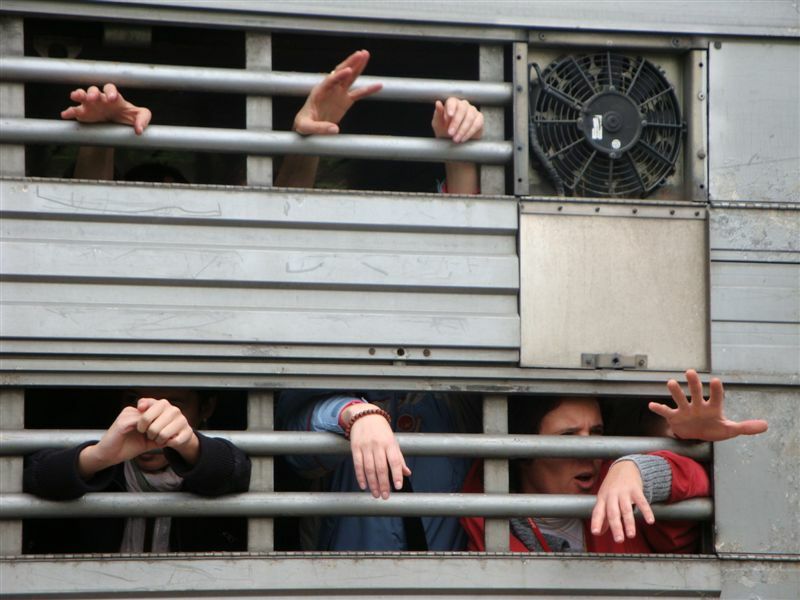 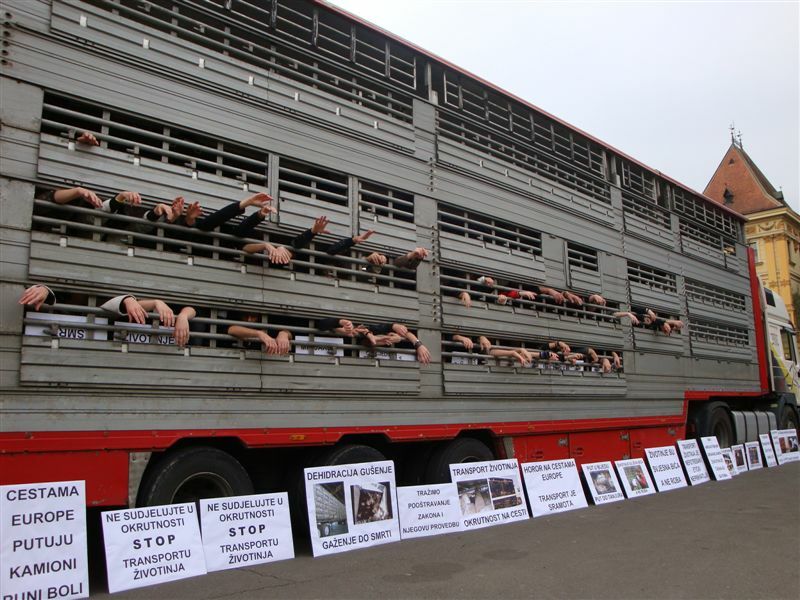 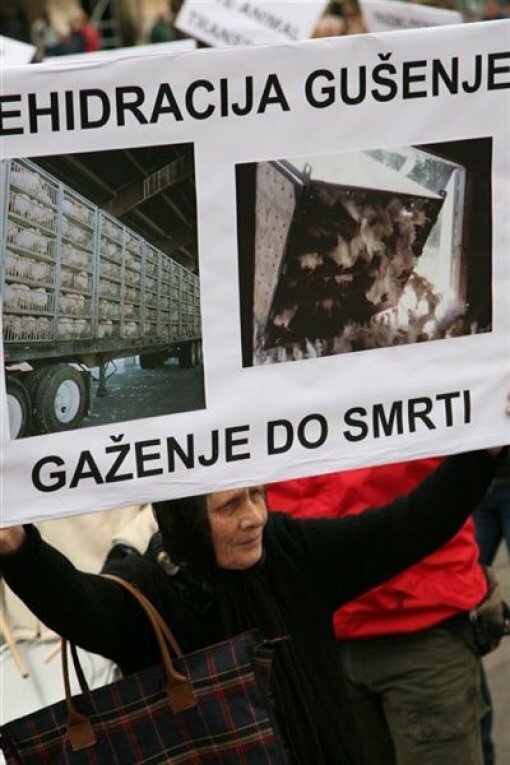 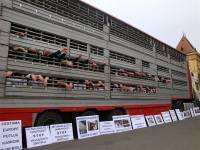 Numerous posters said: "At Croatian borders animals wait for hours," "Suffering in the trucks because of profit," "Animal transportation – cruelty on the road," "Trucks filled with pain travel along European roads," "10 days after birth into loaded trucks," "Journey into misery, journey towards the plate," "At the end of each transportation there is a plate," "Exhausted, crushed, thirsty and hungry," "End the transport, let's not participate," "Plate without meat, road without suffering," "Billions of animals a year – thousands of kilometers of suffering," "It's a long and agonizing journey from farm to plate," "Thousands of kilometers of suffering on the way to death," "Six millions of tragedies on the roads of Europe", "Animals are conscious beings, not a stock," "The law is not enforced – animals are suffering," etc.